Popular East Belfast restaurant Cyprus Avenue has doubled in size and created 18 new jobs following the completion of a £750,000 expansion project. The investment was part supported by Danske Bank. The busy neighbourhood bistro was opened in January 2017 by Richard McCracken, a chef with over 13 years of experience training with Michelin starred chefs Tom Kitchin and Andrew Fairlie in Scotland and Helene Darroze in Paris. Since then, the restaurant has been a real success story and a welcome addition to the lively restaurant scene at Ballyhackmore. The business has now expanded into the adjoining premises on the ground floor, doubling the size of the restaurant. A new central wine bar and additional seating means the restaurant can provide spacious open plan dining as well as a semi-private dining area for private events. Further work is due to be carried out in spring next year on the outside patio area at the front of the restaurant. 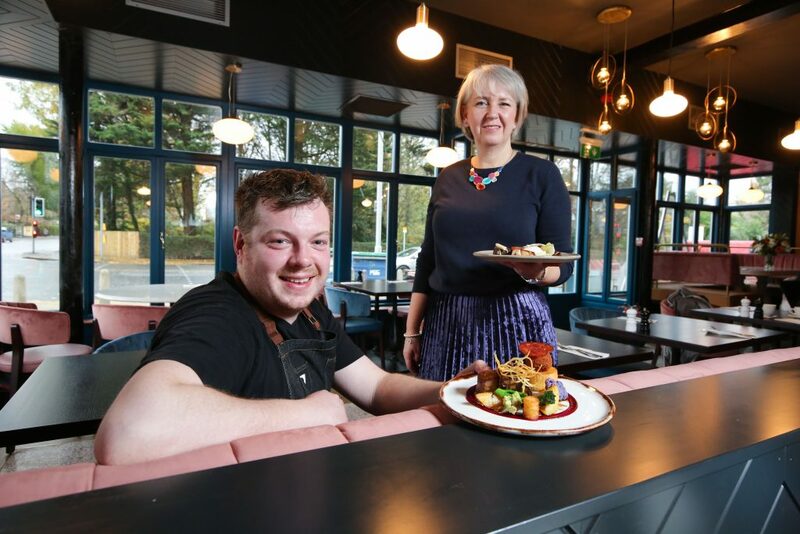 Karen Hoey, Business Manager at Danske Bank, commented: “Following its opening nearly two years ago, Cyprus Avenue has gone from strength to strength and is one of the most popular restaurants in the east of the city.